On a trip to Cape Town a couple of weeks back, my generous and delightful host Trudie took me to visit a classic shop for local foodies. 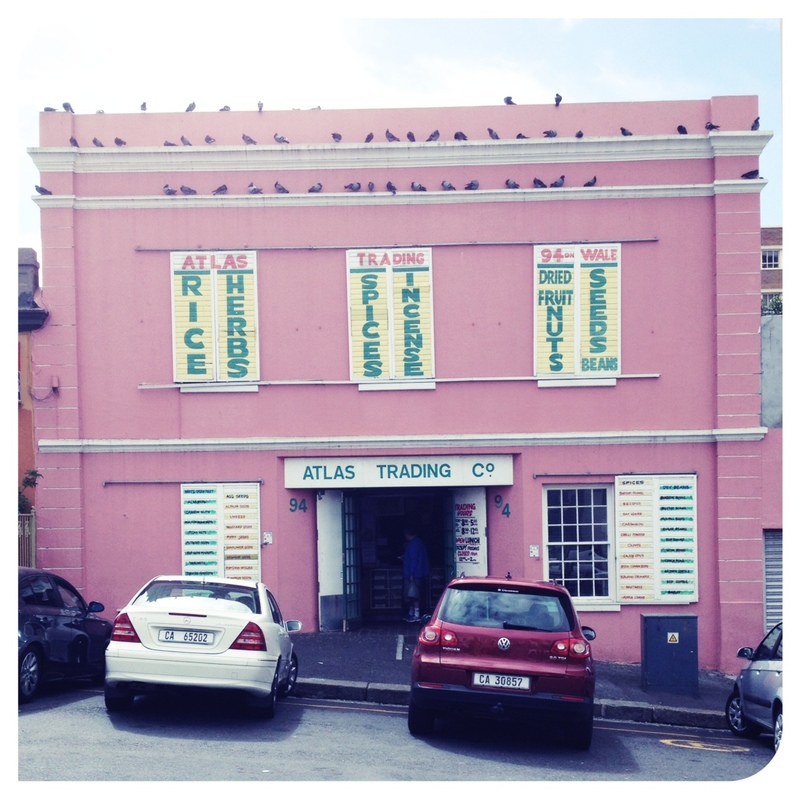 Atlas Trading is a spice shop on Wale Street, in an area called the Bo-Kaap. 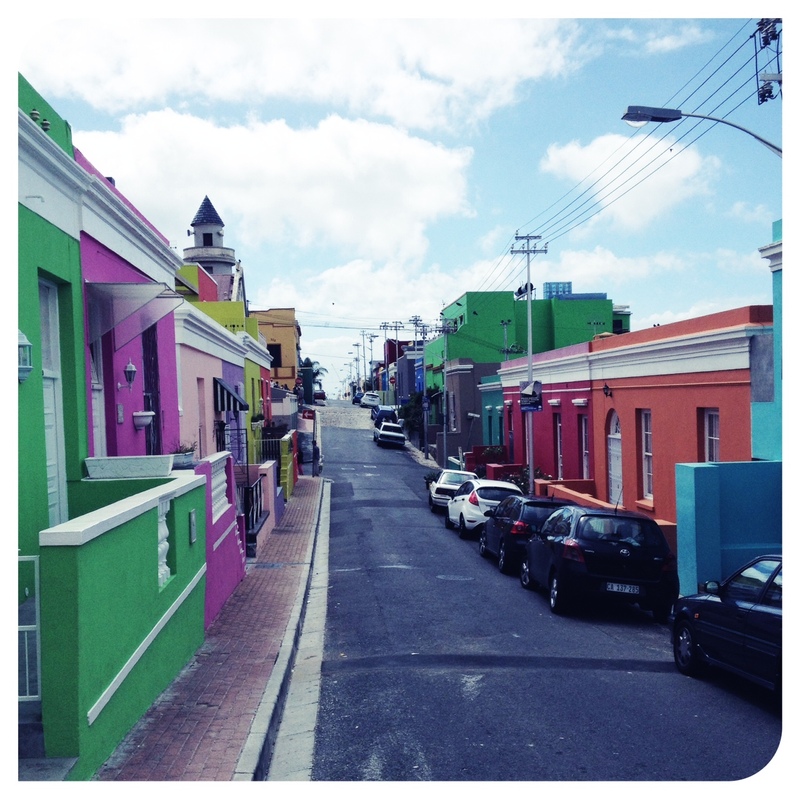 On the edge of the city bowl, Bo-Kaap is a collection of brightly coloured houses that are home to the Cape Malay community; a muslim community with its roots in the earliest days of foreign settlement in the Cape. 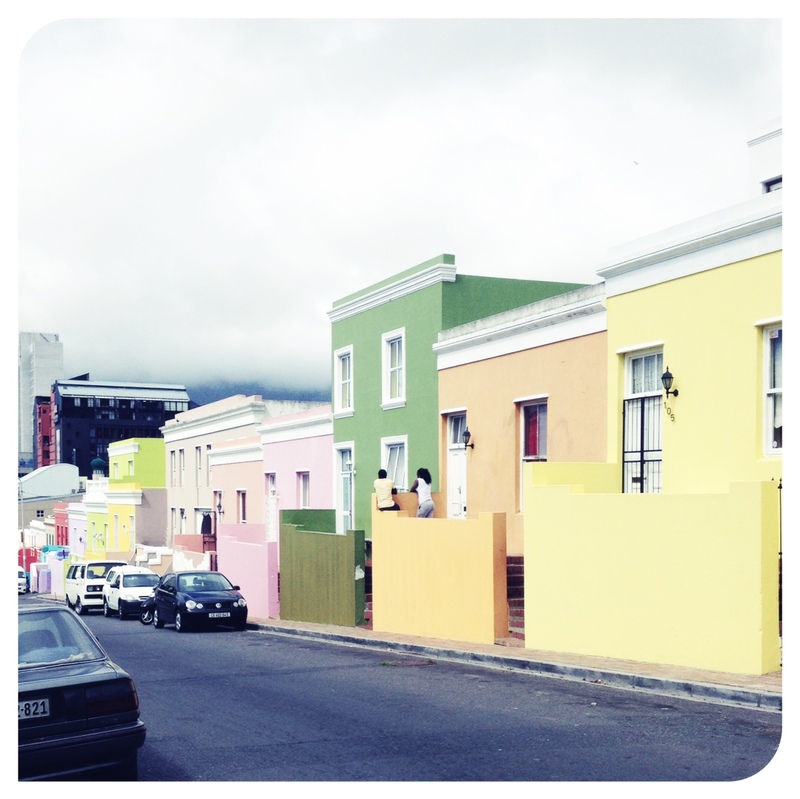 The broad heritage of Cape Malay food is clearly evident in Bo-Kaap Kitchen: heritage recipes and true stories (Quivertree Publications, 2014), with classic recipes such as breyani, a rice dish similar to the Indian biryani, different bredies, stews created to serve many hungry stomachs at once, bobotie, a spicy mince pie that clearly marries European and Eastern heritage, and koesisters, a spicy, coconut-covered version of the sugary, deep-fried Afrikaner koeksisters. 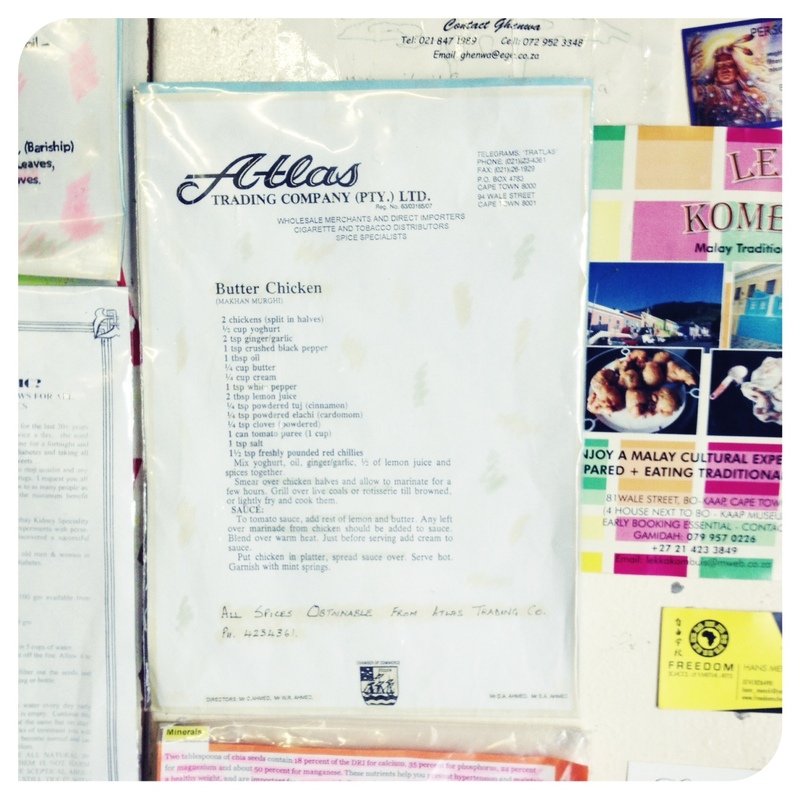 The spices required to make these dishes can all be found at Atlas Trading, the shop literally dressed in spice offerings from floor to ceiling. 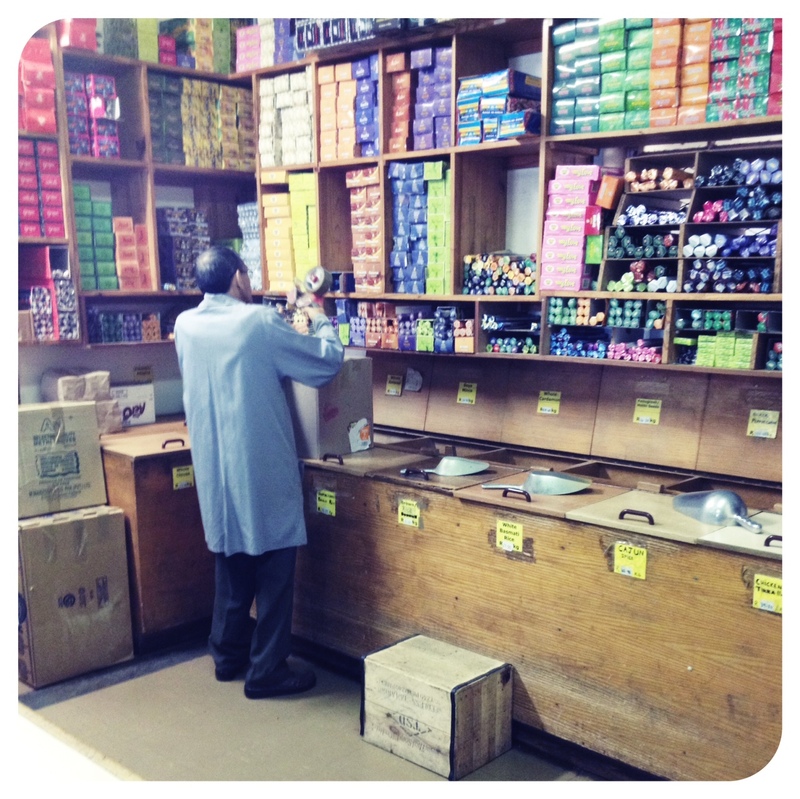 There are small pre-packed bags of spices on shelves, and deep boxes along the walls filled with what must be many kilos of paprika, cloves and chicken braai mix to buy by the scoop. Next to the counter where you pay, the wall is papered with the shop’s own recipes for patrons to study as they queue. The shop is a true feast for the senses. 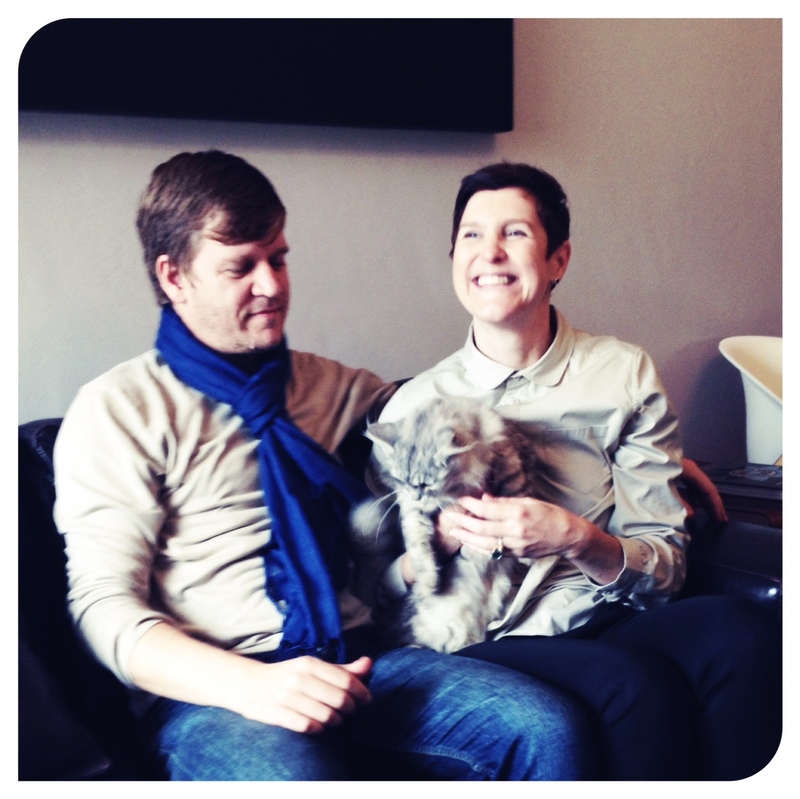 Trudie, with her husband Gerhard and the awesome little Nina, a furry immigrant from the Siberian forests. Fantastic looking spice store. I am envious. Sounds and looks terrific store to go shop at. I have a recipe prescribing warrag marsala and would like to find out what warrag marsala is and how it differs from just ordinary Marsala? Can someone please answer this for me. Many thanks. I am sorry I made a mistake with quoting “warrag” masala instead of Garam Masala. Can someone please enlighten me as to the difference of ordinary Masala and Garram Masala. Many thanks. 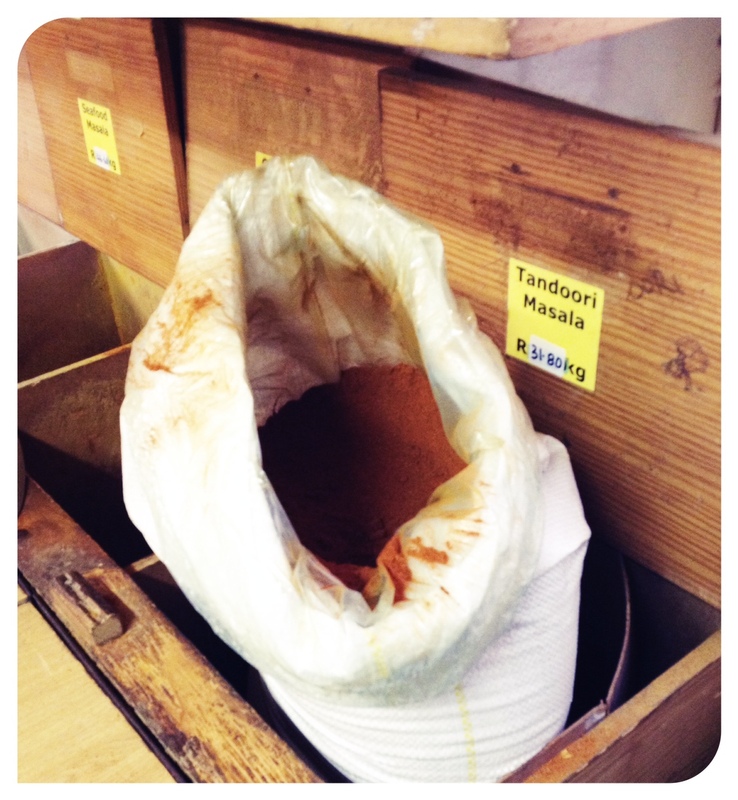 Masala only means “Mix”, so it can be any kind of spice mix, and there are numerous in every indian spice shop. Garam Masala is the most famous one, it is a blend of rather sweet spices including cumin, cinnamon, cloves and many more, very good in any kind of gravy-based dishes, as well as for marinating meat (chicken especially). I don’t know how it is in India, but those I found in South Africa as well as in Europe are usually not spicy. Kanar many thanks for replying and explaining what Garam Masala means. It took a long time for someone to respond to my question in March, but you now went to the trouble of explaining. Thank you very much. I appreciate your time. I am now more the wiser.